When will be War Junk next episode air date? Is War Junk renewed or cancelled? Where to countdown War Junk air dates? Is War Junk worth watching? This Canadian-produced series hosted by historian David O'Keefe and history buff and filmmaker Wayne Abbott, tells the stories of legendary battlefields by the objects of war left behind, and the emotional reunions as they connect the past with the present by locating surviving family members connected to battlefield artifacts. In Italy, the War Junk team search and investigate the battlefields of Monte Cassino where one of the bloodiest battles of WW2 took place. In Holland, the War Junk team searches for artifacts and remnants that depict the story of liberation and the strong connection between Canadians and the Dutch after 70 years. The team investigate World War II's Operation Market Garden, a two-pronged air-and-land assault focusing on the Netherlands and Germany. The team discovers artifacts from Canadian soldiers on a World War II battlefield. War Junk next episode air date provides TVMaze for you. 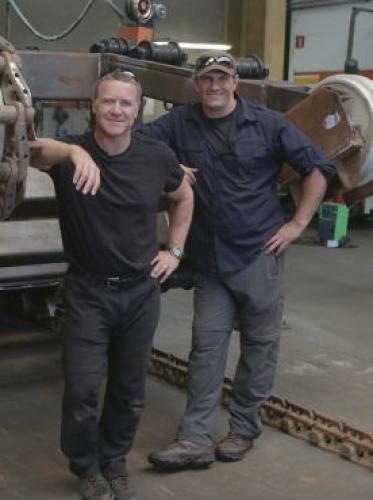 EpisoDate.com is your TV show guide to Countdown War Junk Episode Air Dates and to stay in touch with War Junk next episode Air Date and your others favorite TV Shows. Add the shows you like to a "Watchlist" and let the site take it from there.